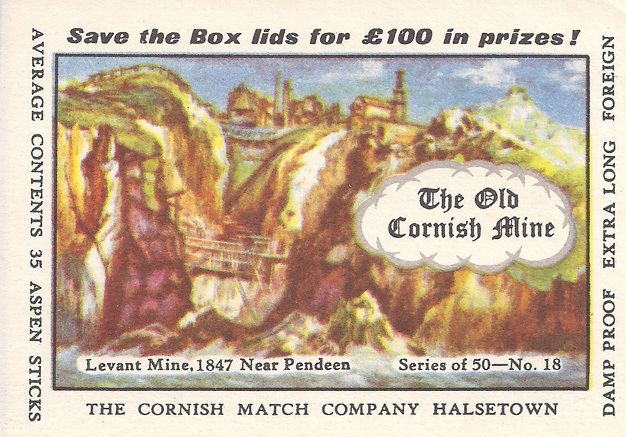 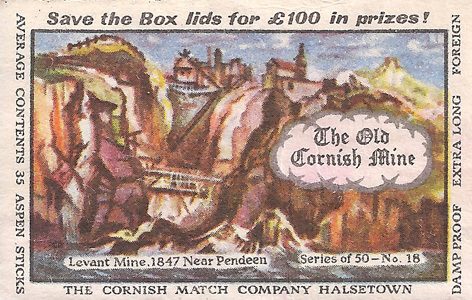 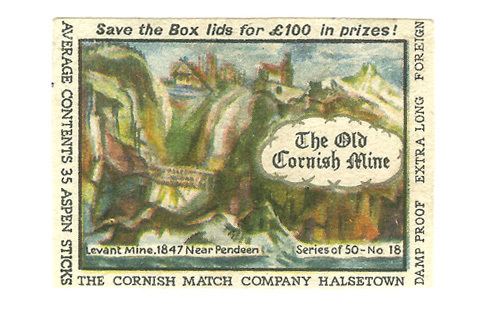 One of the great and historic mines of Cornwall which has been worked out under the sea for a mile. 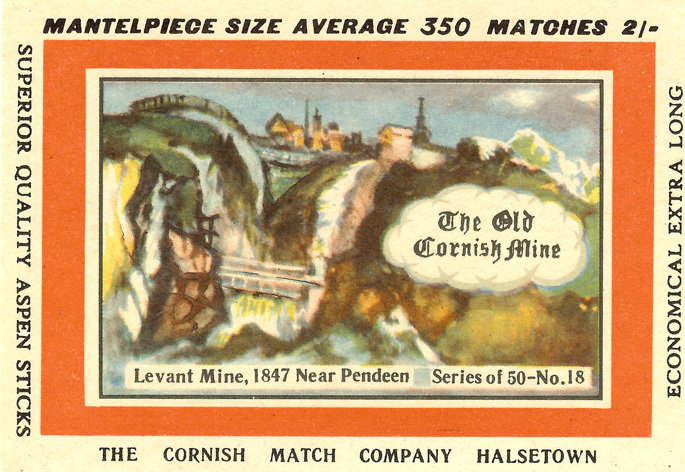 It started in 1820 and closed in the slump of 1930. 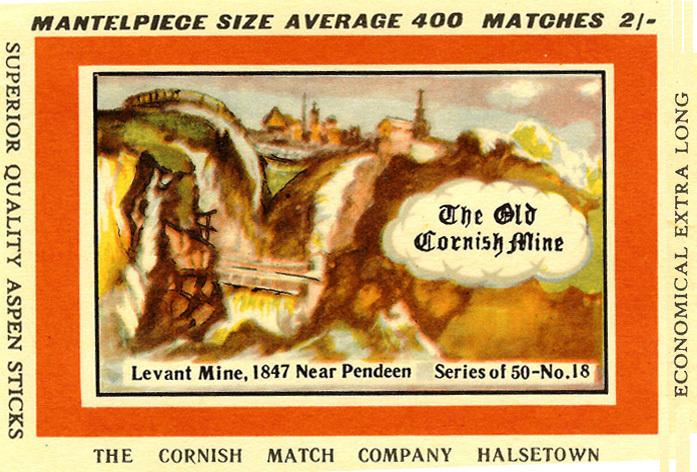 Around 1970 Geevor Tin Mines Ltd. found their own workings close to the flooded Levant Mine, parts of which were then filled with concrete to prevent further flooding. 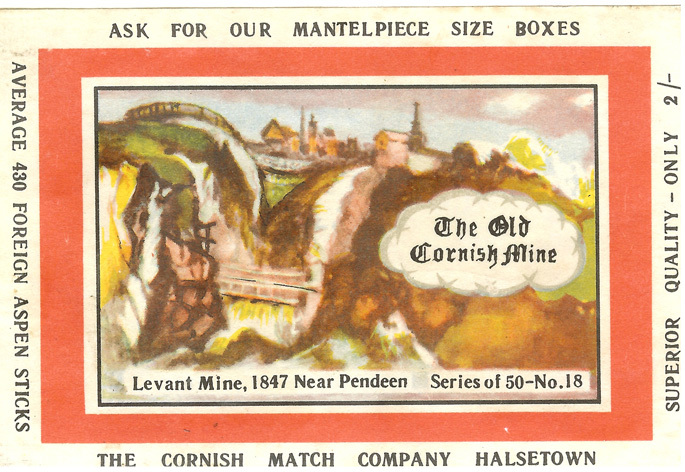 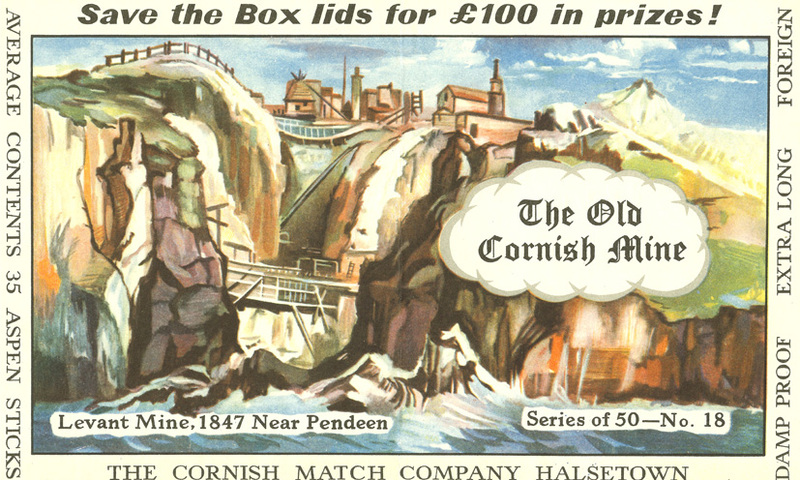 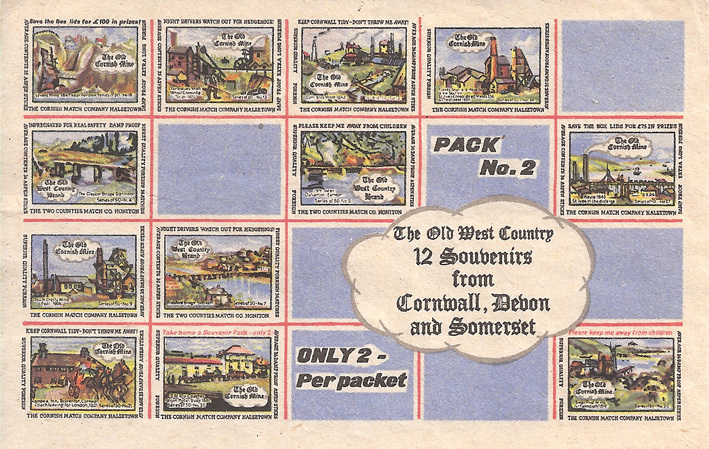 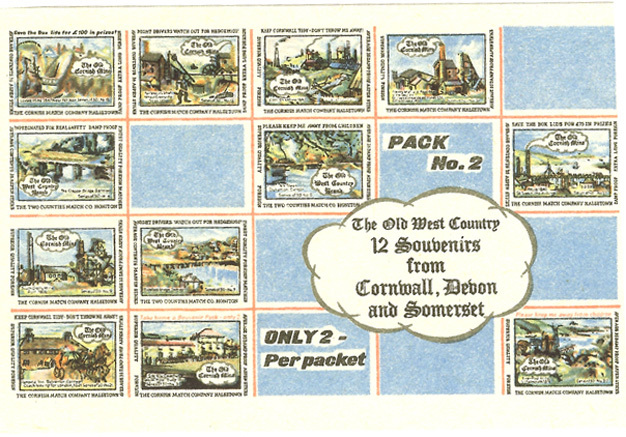 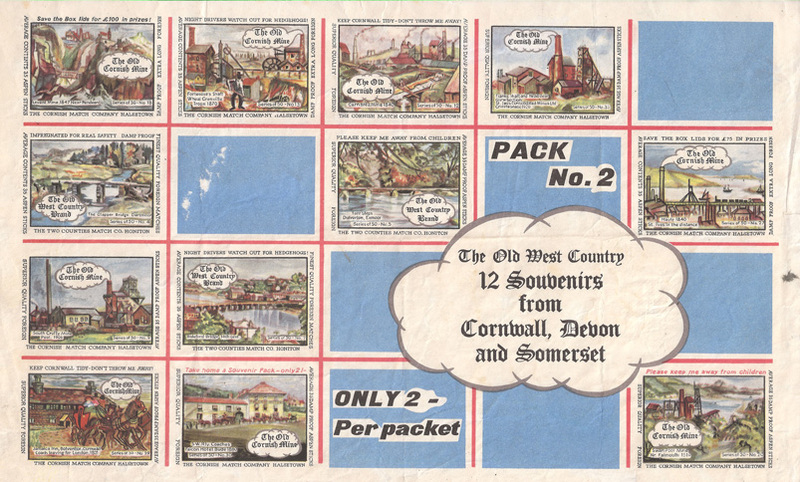 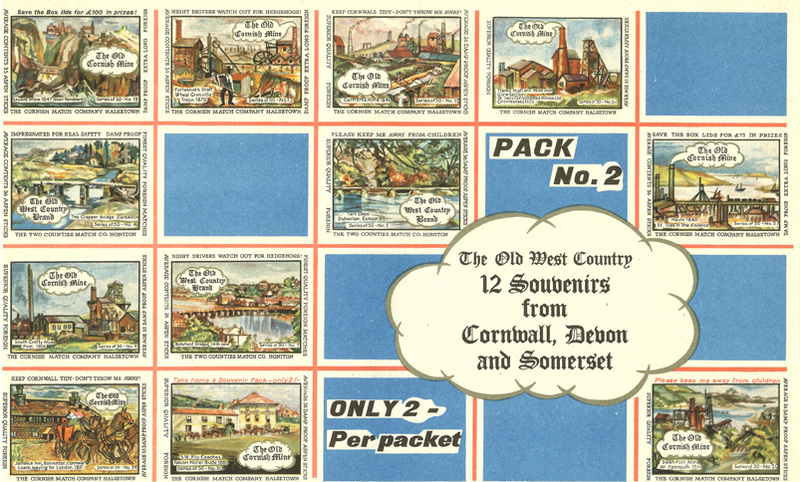 The illustration appeared on 7 individual and 4 souvenir labels and was first issued in September 1965.